New outdoor clothing companies seem to spring up weekly, especially when you look at crowdfunded ventures. 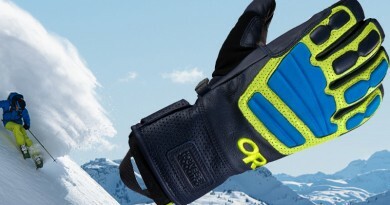 There’s nothing wrong with crowdfunding; many great products come out of it (Oros gear looks promising). But lost among that crowd are companies that have been around for decades. The thing is, if they’ve been around for decades, they must be doing something right. Case in point: the LL Bean Primaloft Mountain Pro Hoodie. LL Bean is one of those age-old firms that many people seem to forget about. In fact, bringing up the brand in my social circles inspires some “oh yeah, those guys” comments. When I strolled into their space Outdoor Retailer – Summer Market last year, I expected it to seem like I was turning on some classic movie. You know what’s coming, it’s comfortable, and you move along your merry way when it’s over. 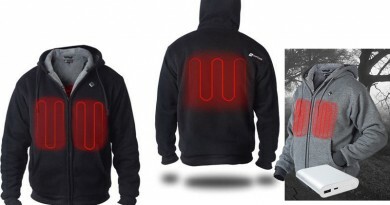 Then I saw the hoodie. The company had some nice boots and other highly functional gear, but the LL Bean Primaloft Mountain Pro Hoodie stood out. It stayed on my mind for weeks, which is why I gave it a Hot Shot Award after the show. And it’s why I couldn’t wait to test it out in the wild. 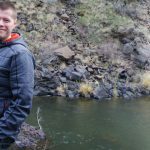 I wore the Mountain Pro Hoodie in brisk Fall mornings to cold Winter days to see how it performed in diverse settings. Long story short, it owned both environments. Most hoodies are designed as midlayers, and the Primaloft Mountain Pro Hoodie is no different. In the Winter, that is. 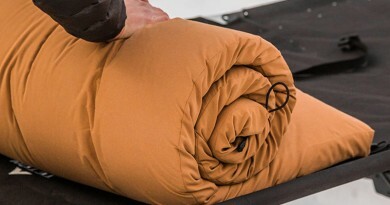 With 60 grams of Primaloft Gold Active insulation, the Mountain Pro was insulating enough that on some Fall outings I was able to stay warm enough without an outer jacket. It’s not waterproof, so you’ll still want a shell if it’s raining. But in some chilly Fall settings, an undershirt and this hoodie were all I needed. Check out the photo above, for instance. Taking it out in Winter settings was a different story, but not through any fault of the hoodie. When the mercury really dropped, I found myself needing that extra outer layer. I realize I’m a special case, having Raynaud’s syndrome and all, but most people will probably find an outer layer useful in the Winter. Fortunately, between the Primaloft material and some side panels, the breathability’s good even with that extra layer. I’m a sucker for a good hood, which I noted in my Houdini Power Houdi hoodie review. On that front, the LL Bean Primaloft Mountain Pro Hoodie ranks up there with the best. Some hoods are large to accommodate helmets, but the skull-only cut is just right on this garment. It has drawstrings if you have a smaller noggin, but I seldom used them (I’m a bit of a Cranium Commando). Either way, the hood allows you to turn your head with the hood rather than inside it, which makes a big difference for visibility. Unlike the Houdini Power Houdi, which uses Polartec, this LL Bean hoodie uses Primaloft. Both are good insulators, and I’ve been pleased with each one’s warming qualities. However, while both of them are water-resistant rather than -proof, I noticed that water sheds a tad more easily from the LL Bean Primaloft Mountain Pro Hoodie. Neither is designed to be worn in the rain. But if you’re outdoors with a chance of showers, the Mountain Pro Hoodie is the better bet of the two. Long story short, if you’re looking for a new hoodie this season, don’t hesitate to look toward an “old” brand. LL Bean has a few tricks up its sleeve, and the Mountain Pro Hoodie is one of them. It surprised me when I first experienced it this summer, and it’s pleasantly surprised me all Fall and these first few weeks of Winter. I highly recommend it. 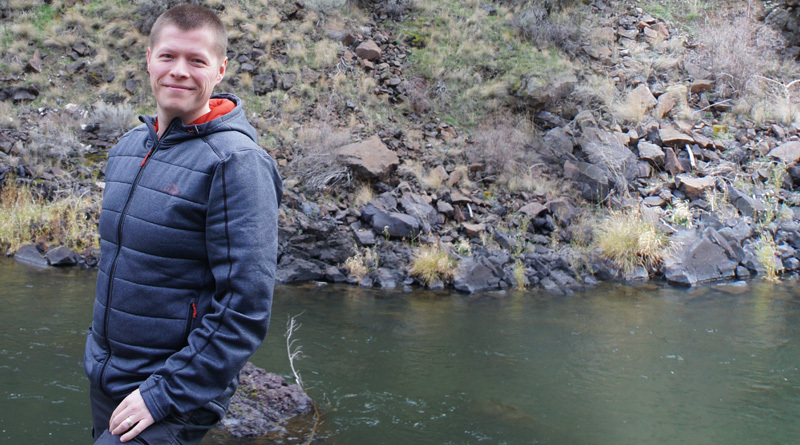 The LL Bean Primaloft Mountain Pro Hoodie was provided for review. All opinions and words are my own and honest, and the article above contains no affiliate links. Some people will want thumb holes. I didn't.